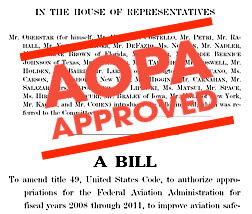 The House got it right; an FAA funding bill that would modernize the air traffic control system, increase airport funding, and do it all within the existing tax structure. 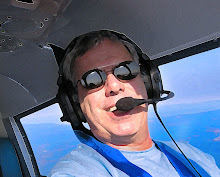 And no ATC user fees! "The leadership of the House Transportation and Infrastructure Committee and aviation subcommittee refused to be bullied by the airlines or accept the FAA's claims of poverty," said AOPA President Phil Boyer. 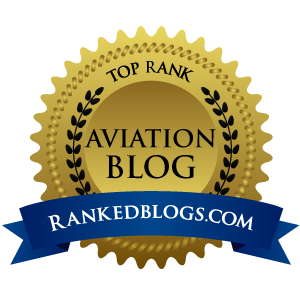 "They took a reasoned, rational look at what needed to be done and how to pay for it, and delivered a solution that promotes the interests of all segments of aviation. Nearly $13 billion would be available for ATC modernization (NextGen) and other FAA capital improvements. That's more than $1 billion beyond what the administration proposed in the FAA's actual bill. And airports would be slated for $15.8 billion in improvements over the course of the bill, some $4 billion more than what the administration proposed. The FAA's proposal increases fuel taxes 261% on GA piston aircraft, gives a $2 billion tax break to the airlines, and creates “opaque” user fees which replace current “transparent” passenger ticket taxes. The Senate's proposal leaves GA fuel taxes at the same rate, increases non-airline turbine aircraft fuel taxes by 124%, eliminates current fuel taxes paid by the airlines, and introduces new user fees. H.R. 2881 adds massive increases to several FAA services that aircraft dealers and buyers must now factor in. A chart on Avweb shows these services – for things such as lien recording and aircraft registration – going up from ten bucks now to $495, a whopping 4,950 percent increase! While H.R. 2881 is a huge step in the right direction for GA users of the airspace system, this is not yet a slam-dunk. AOPA calls this a 12-step process, so we must push on until the very end.